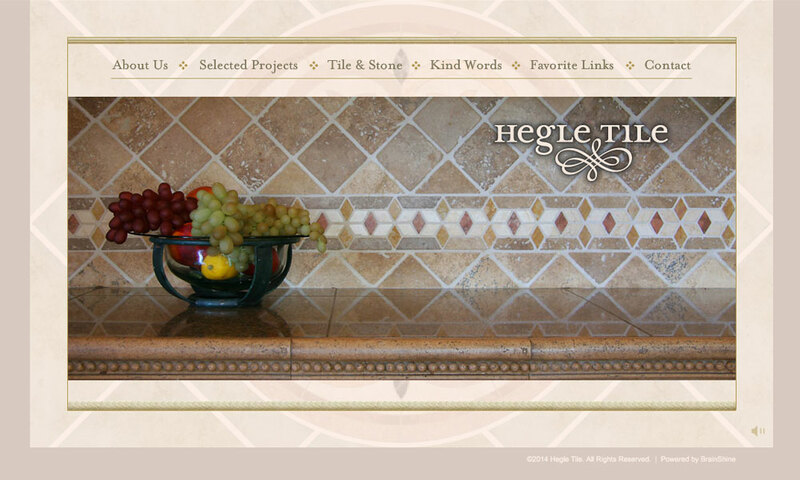 For more than 15 years, Hegle Tile has crafted custom tile installations in homes and businesses – indoors and out – throughout Southern California. Often ornate, the company’s work has appeared in lifestyle magazines and home tours. The Hegle Tile site had to match the high quality of the company’s installations, considered by many clients as works of art. They hoped to show capabilities as well as give clients fresh ideas regarding their own projects. 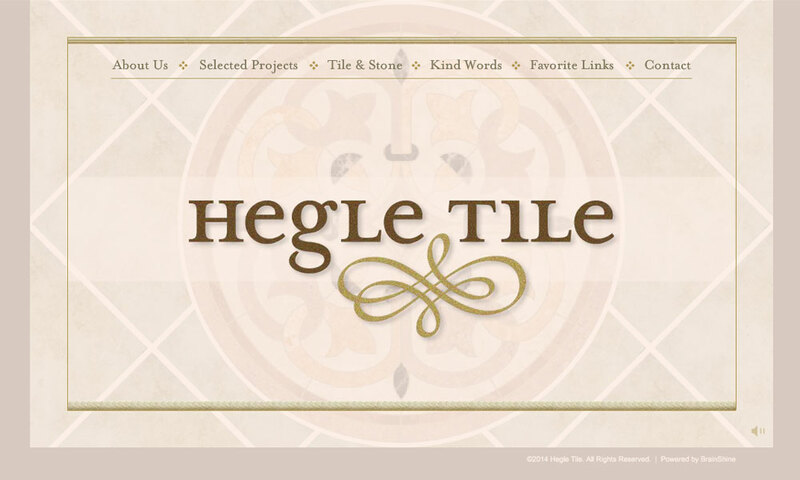 Hegle Tile reached out to BrainShine for their online marketing help. First, we created an elegant logo using a typographic design that suggests an international style, reflecting the Old World look of many of their designs. 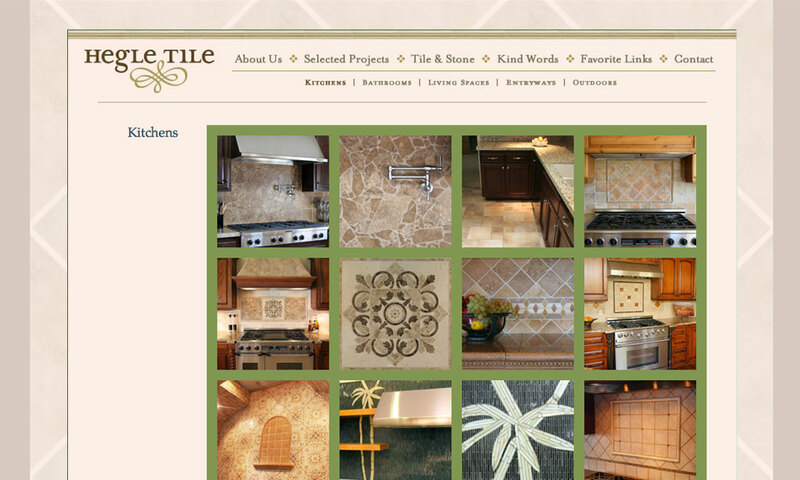 The website homepage opens with a slideshow of Flash-powered images of Hegle Tile’s work. 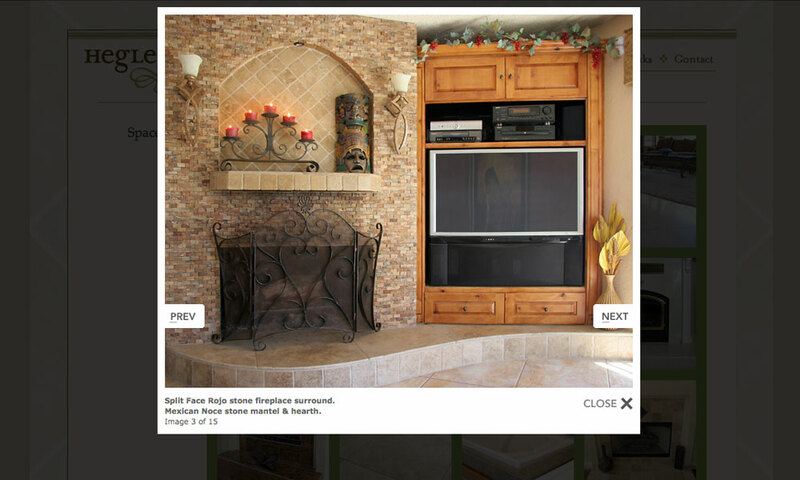 Once inside the site, clients can then click through dozens of photos of diverse projects. Each image is captioned with descriptions of materials used, which helps clients discuss specific photos with Hegle Tile staff. BrainShine also recommended capturing new photos for the site. Though it took some extra time and coordination with homeowners and businesses, the professional-quality photos add real impact. 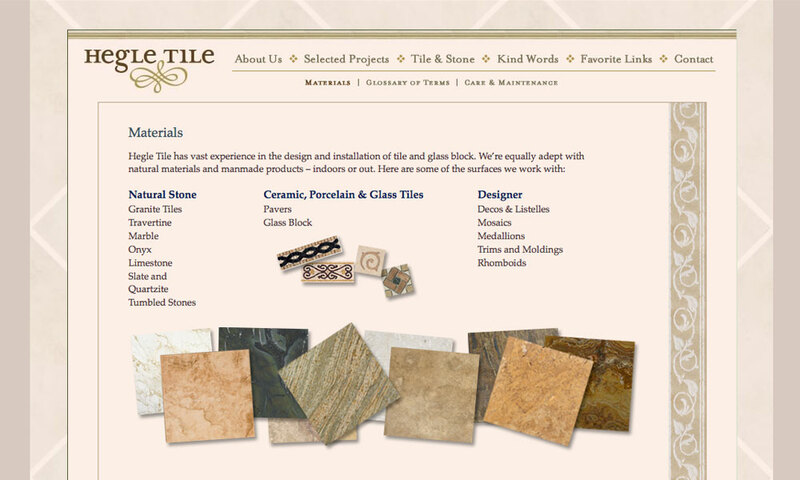 HegleTile.com works as an online showroom that not only displays the company’s diverse portfolio, but gives clients a true sensory experience similar to visiting a tile manufacturer’s showroom. But even better, potential clients can visit the site on their own time and in their own environment – and then contact the company as a qualified new business prospect.